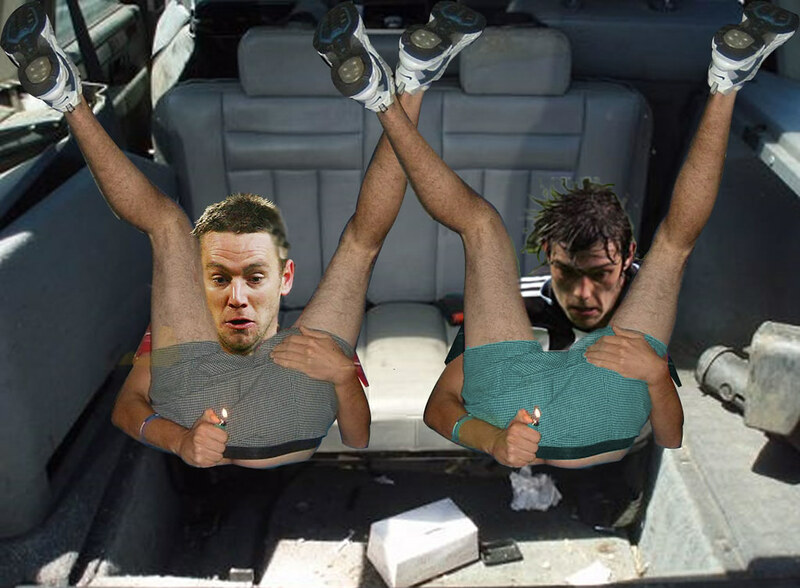 Andy Carroll’s Range Rover Torched In Arson Attack … At Kevin Nolan’s Home! 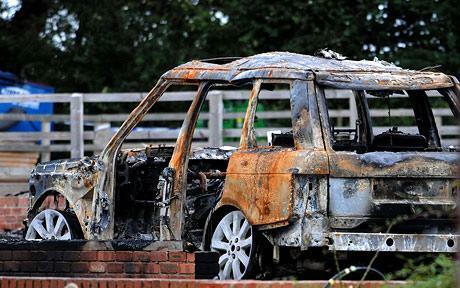 Breaking news: Andy Carroll’s Range Rover has been torched in a suspected arson attack. The vehicle was parked on the drive of his Newcastle team-mate Kevin Nolan, with whom Carroll has been bailed to live (full story here). Nolan’s garage door was also vandalised. Could this crime be linked with Carroll’s fisty, fighty past? That’s the logical conclusion. I heard it was Alessandro Del Pyro-maniac. I wonder has it got anything to do with Stephen Taylor! I like that burnt paint effect. Cool. He’s a little wife beater, good job on whoever done this, a voilent long haired creep who will hit the headlines again.